It might just become your favorite spring wardrobe staple. What’s the wardrobe workhorse that many of the world’s most stylish women wear? A leather jacket. The fashion staple instantly adds edge to an otherwise conservative outfit, without losing any of its polish. The former Meghan Markle proved just that when she sported a leather jacket for her first public appearance with Prince Harry at the September 2017 Invictus Games. The only problem? They’re not cheap. Fortunately for us, there’s Amazon. Recently, I went on the internet retailer's site to look at winter jackets. 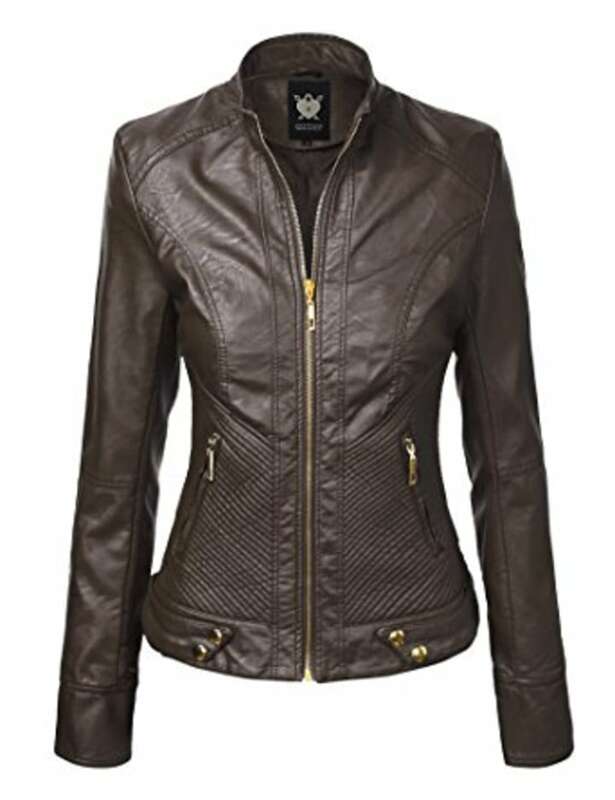 Given the cold temperatures this year, I was surprised to see one of the best-selling items in women’s coats, jackets and vests was a faux leather jacket. 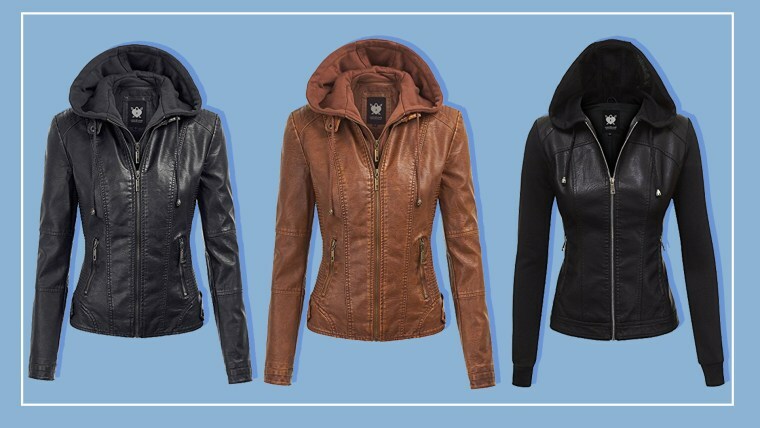 Apparently, we love our pleather more than down, even in cold weather. 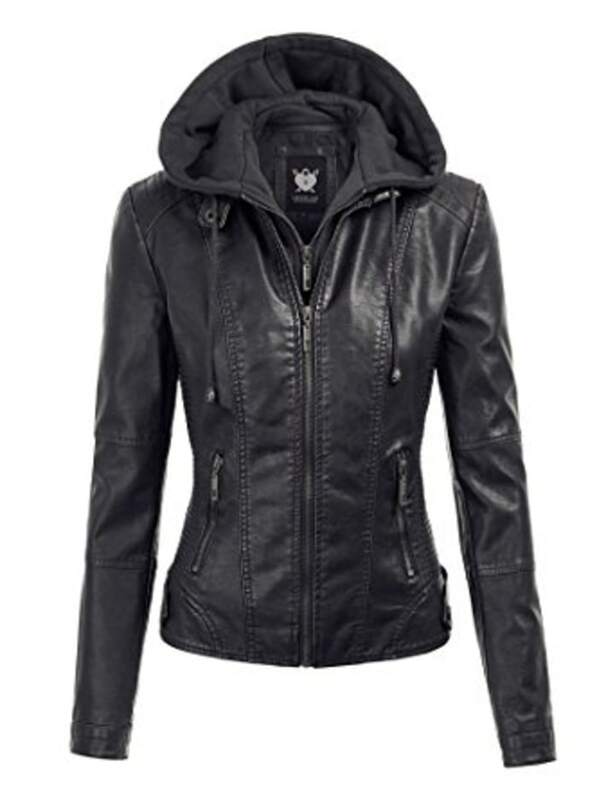 Thanks to 3,535 reviews and an average 4.1-star rating, Lock & Love’s hooded faux leather jacket is ranked No. 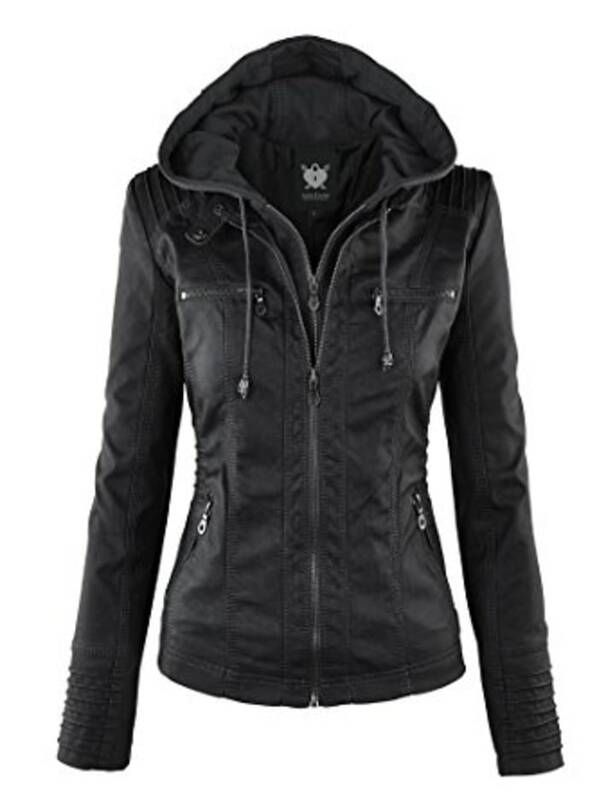 1 on Amazon’s list of best-selling women’s leather and faux leather coats, jackets and vests. I opted for No. 1, the hooded version, in classic black. At $60, it’s the most expensive color, but thanks to Amazon Prime, shipping was fast and free. Immediately, I was impressed with how soft it felt. The fabric was even forgiving and comfortable, as though someone had broken it in for me. I was worried the polyurethane shell would feel plastic-y and make noise when I moved. But it didn’t. My second concern was that the jacket would look cheap. For me, a bottom layer, like a T-shirt or tank top, can look like it cost less than lunch, but a statement piece like a leather jacket? That should scream "investment." Note: I’m 5’4” and 110 pounds, and I ordered a size small. It’s not as snug or tailored as most leather jackets, so if you like that look, consider ordering a size down.